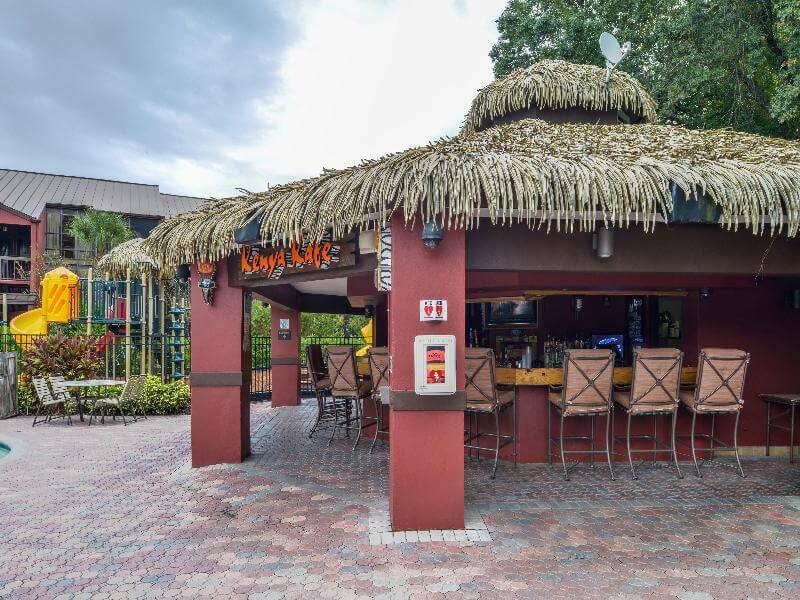 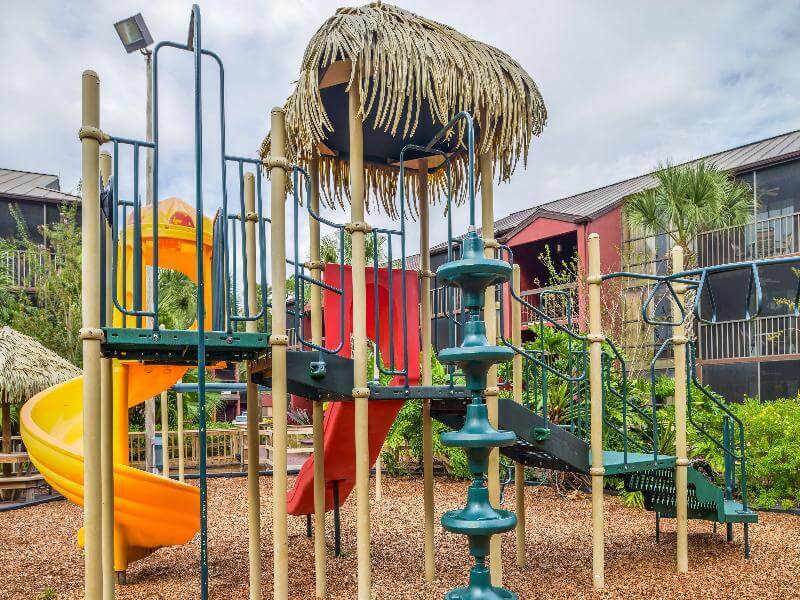 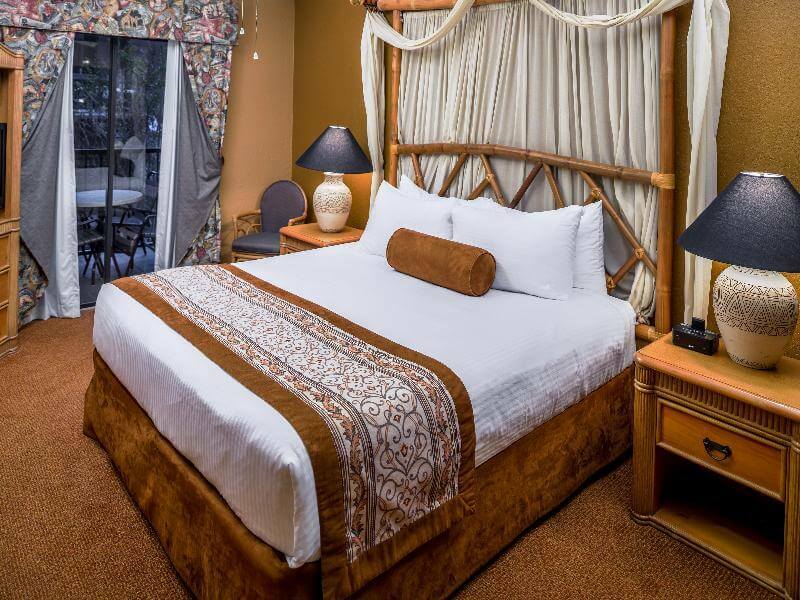 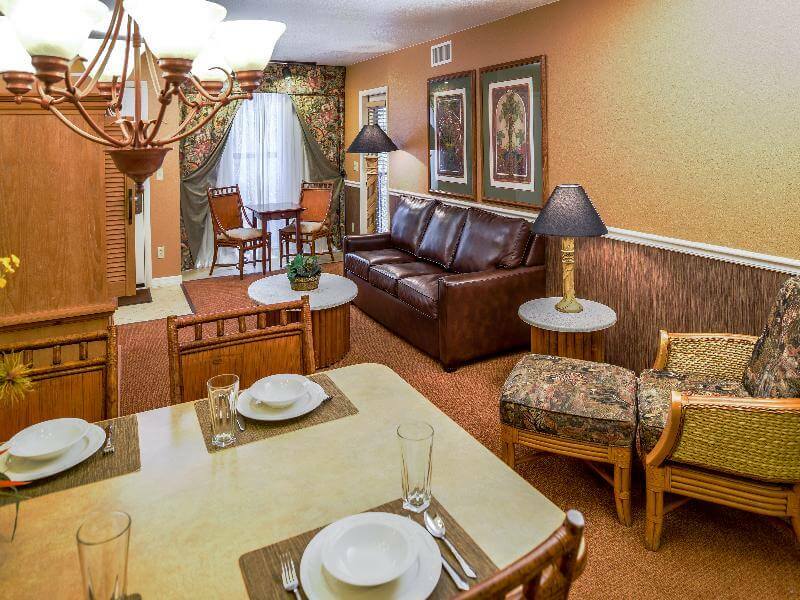 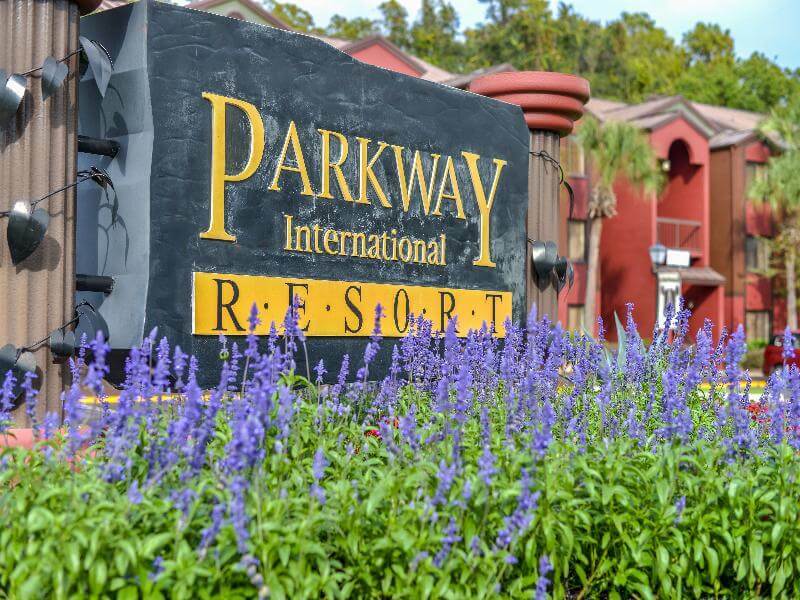 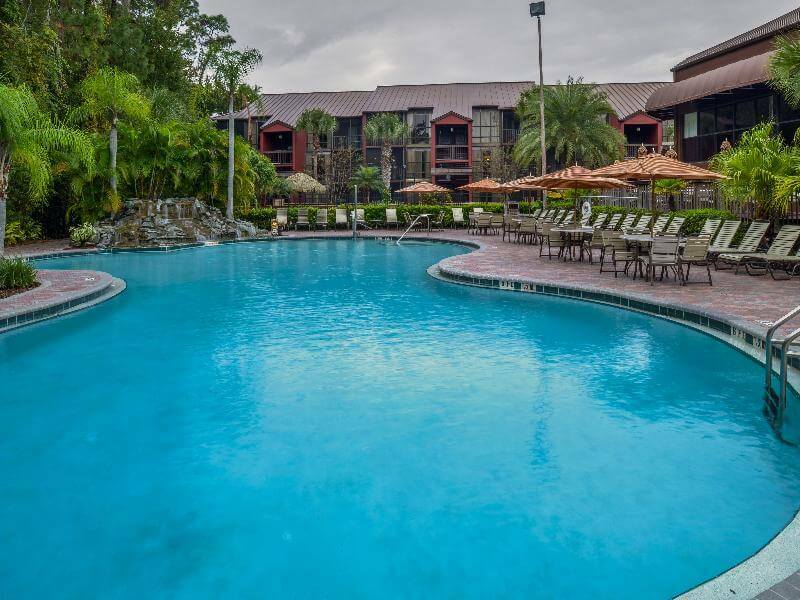 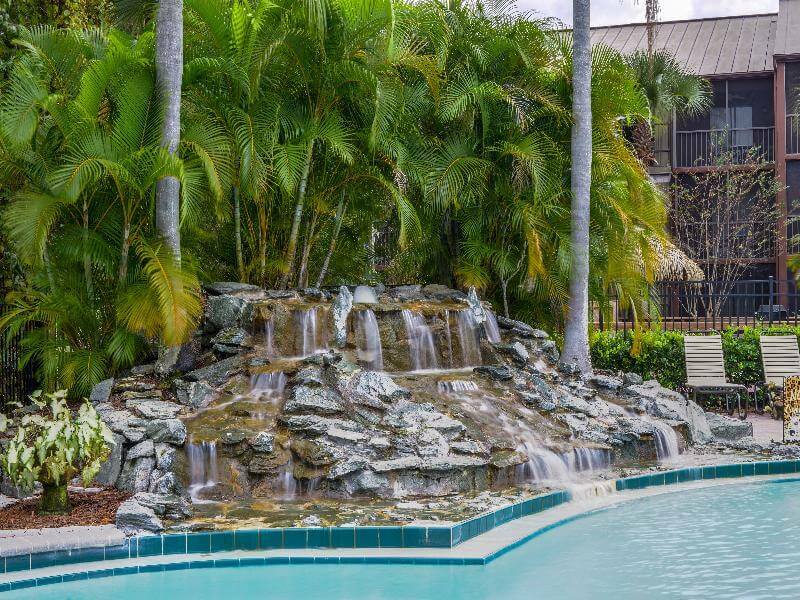 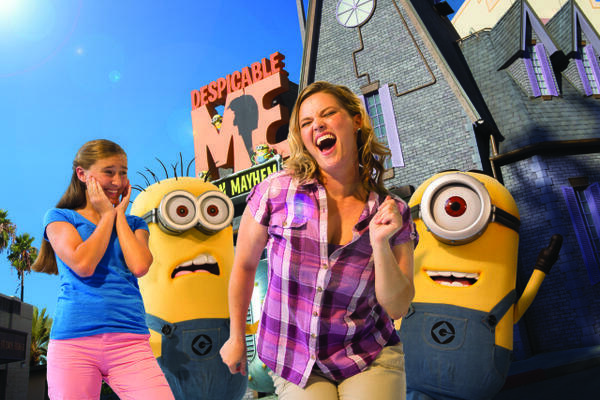 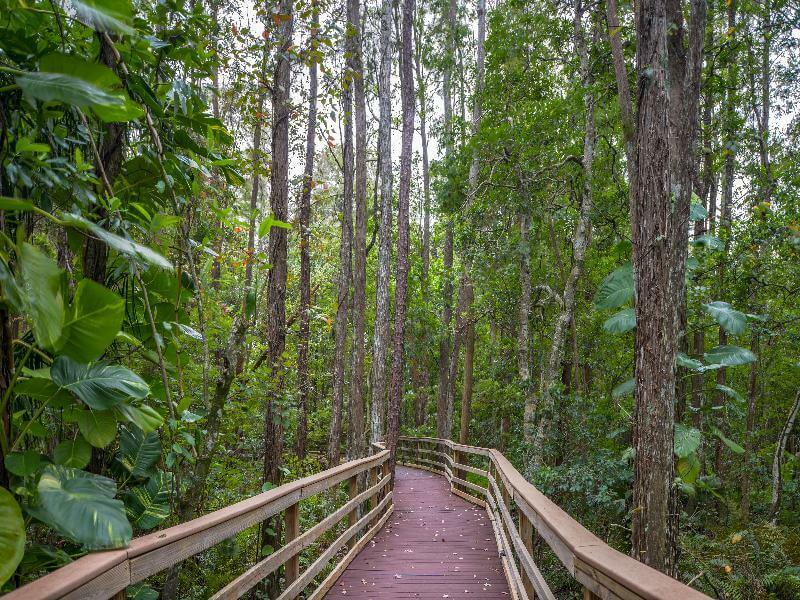 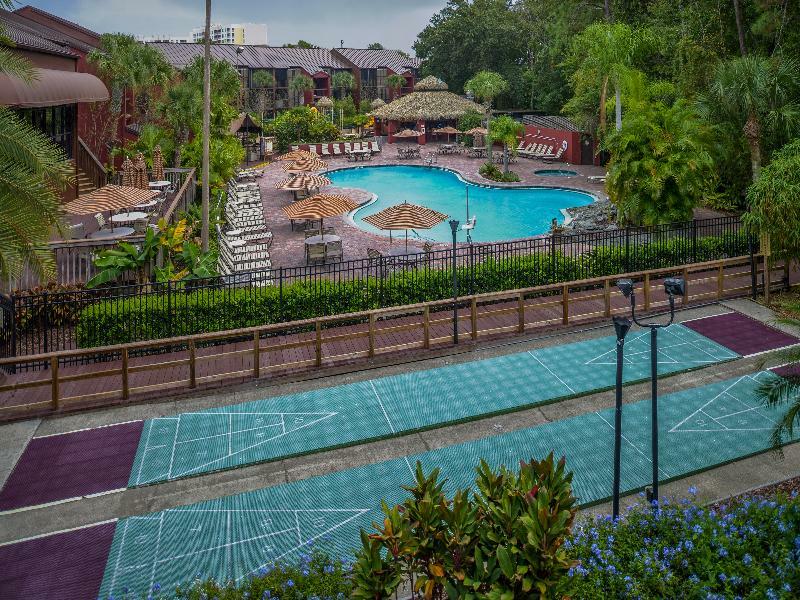 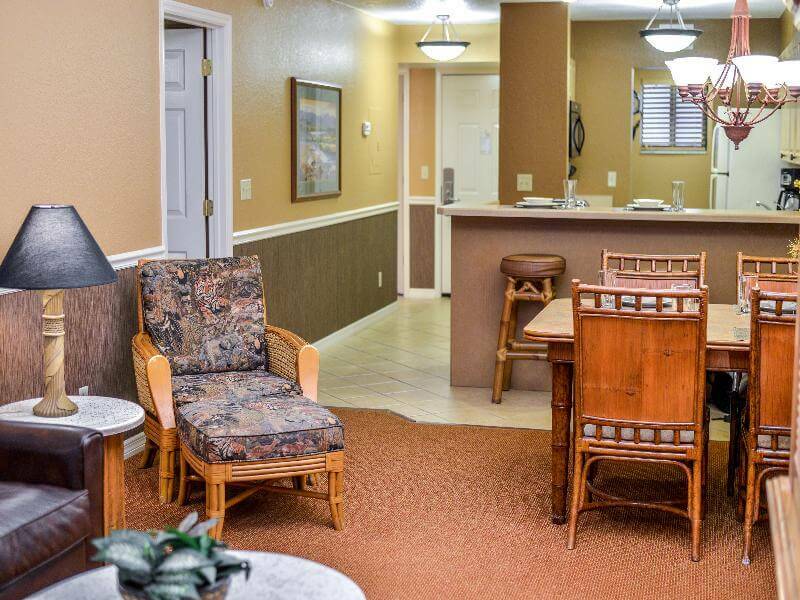 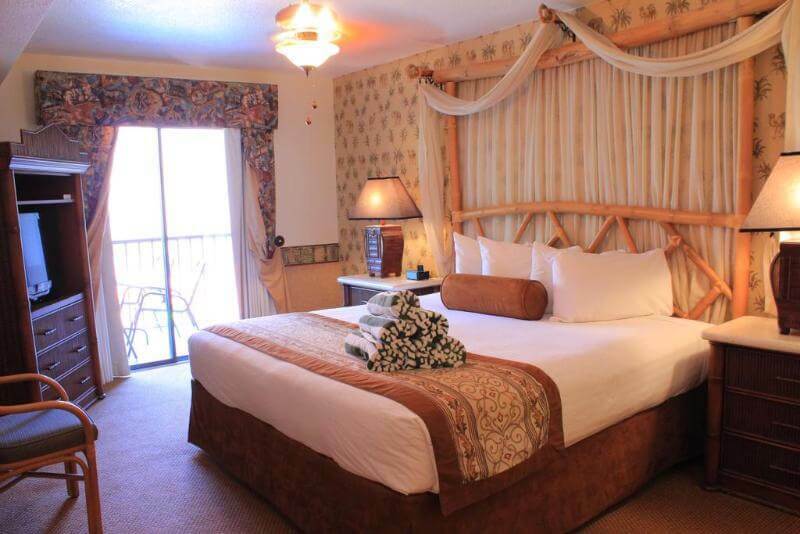 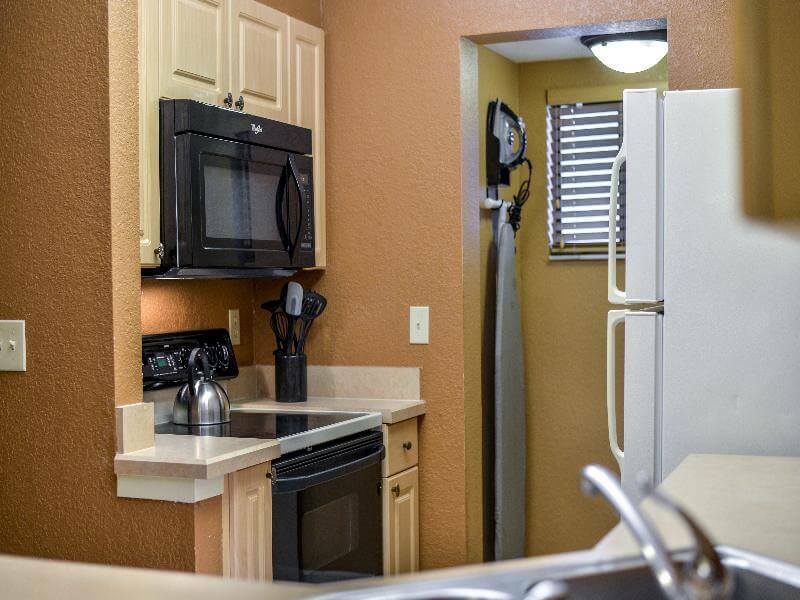 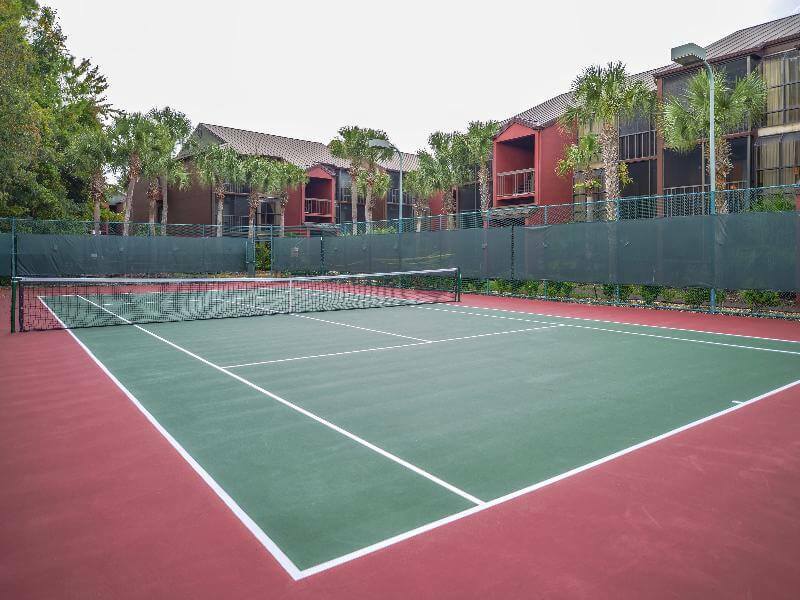 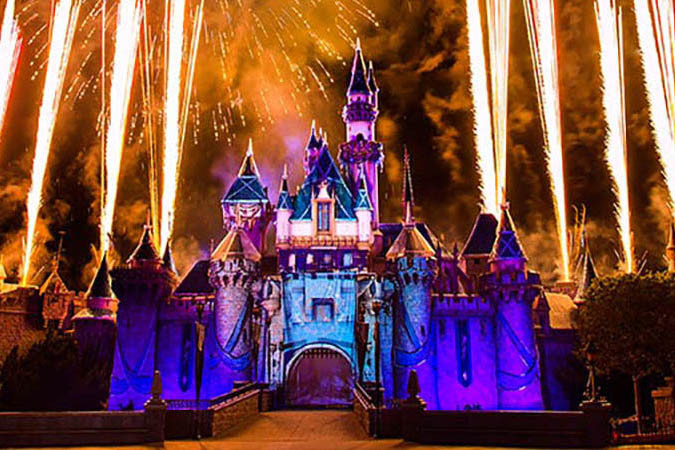 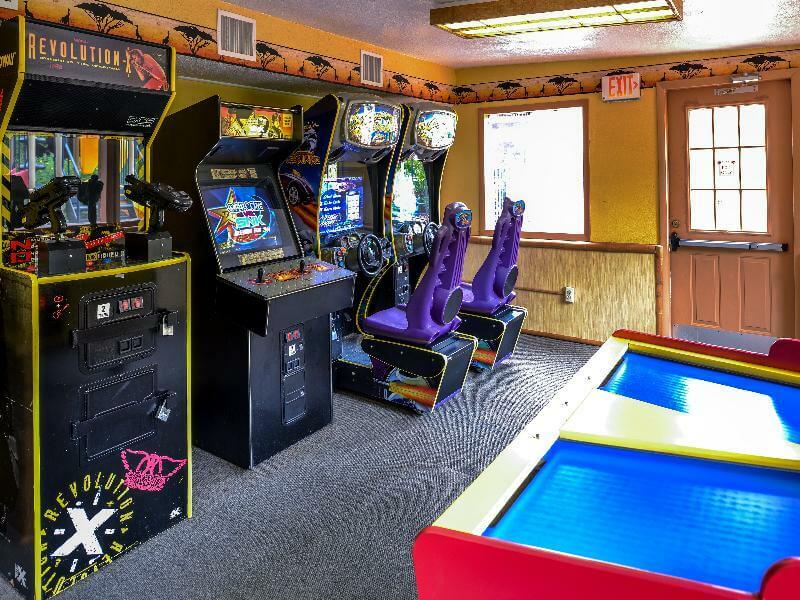 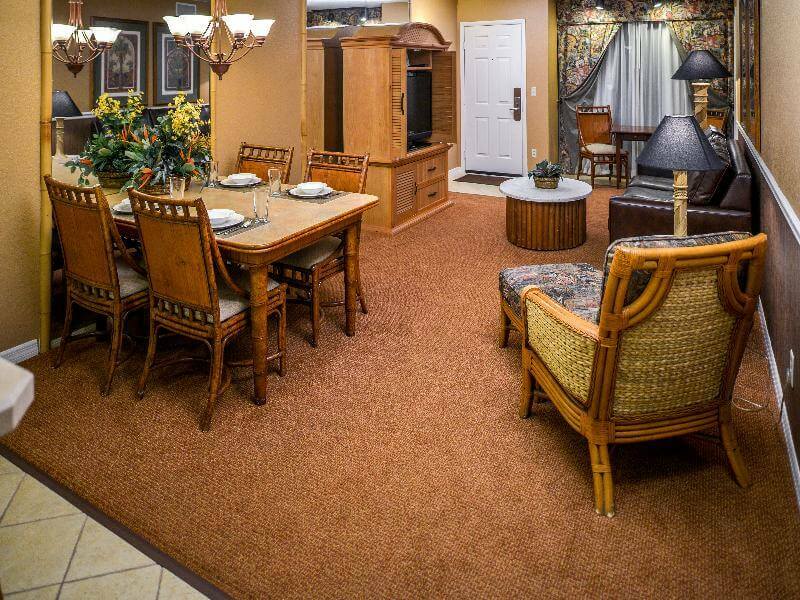 This family-friendly resort is located in the lively city of Kissimmee, surrounded by a tropical forest and close to the main theme parks of Orlando, such as Walt Disney World Resort and Universal Orlando Resort. 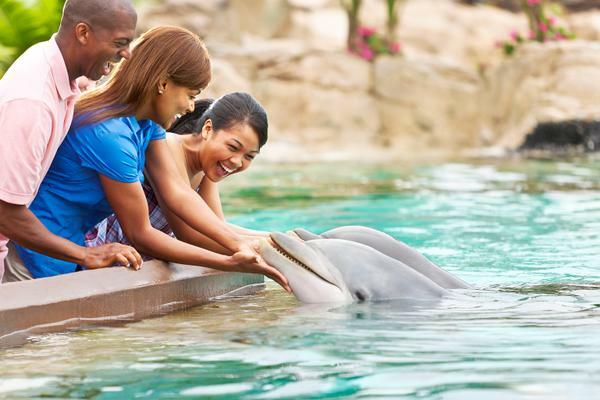 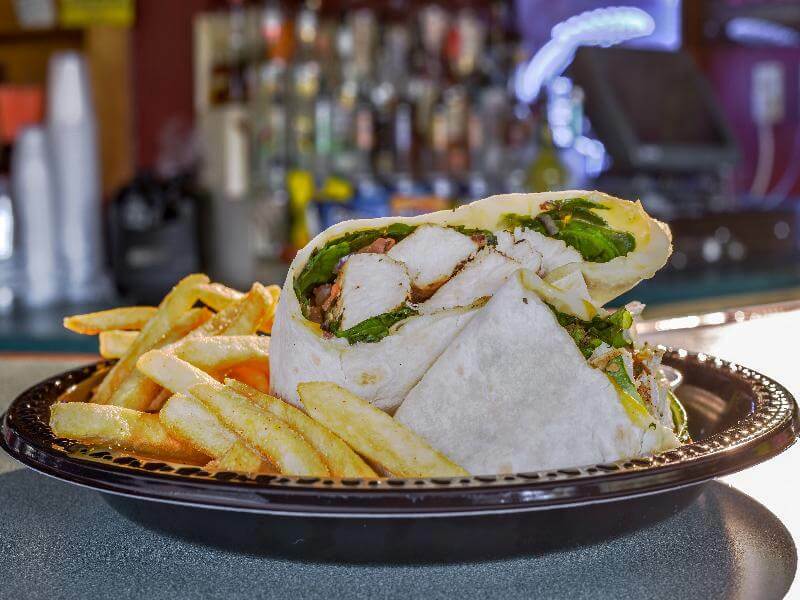 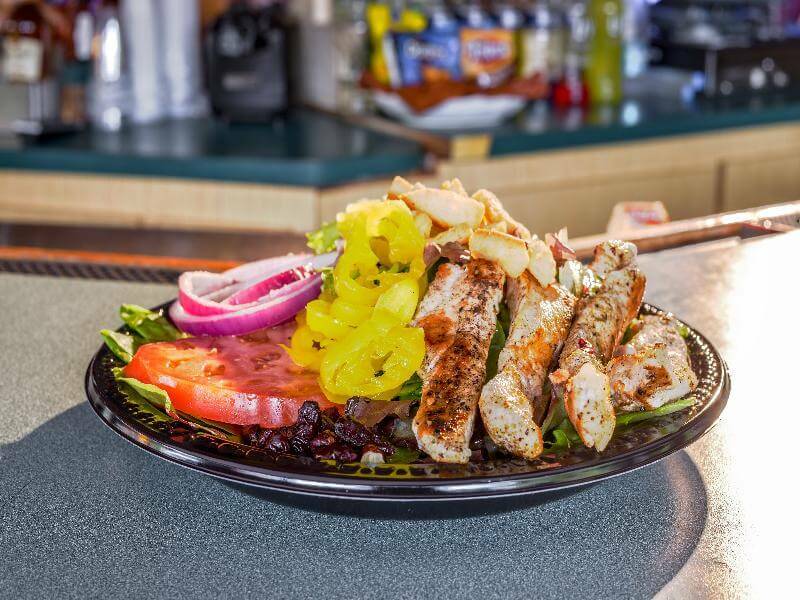 Travellers can also find various restaurants and local attractions in the surrounding area. 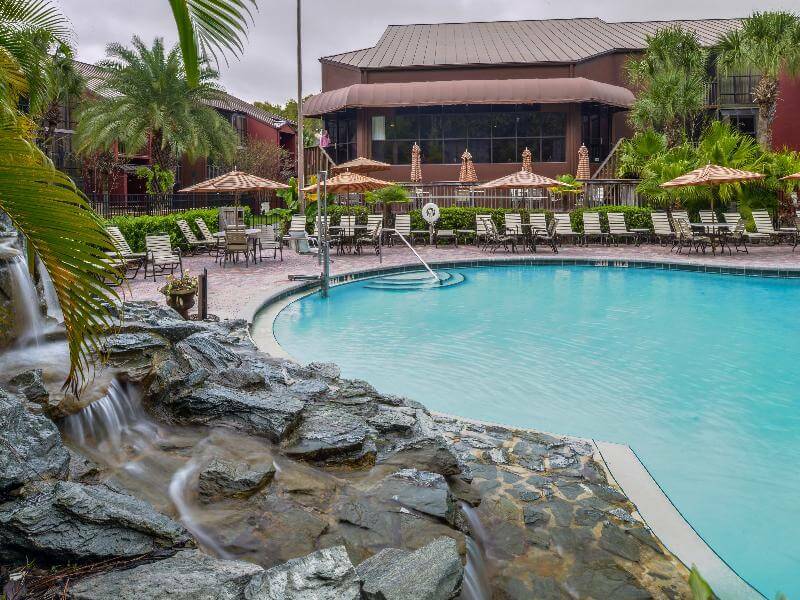 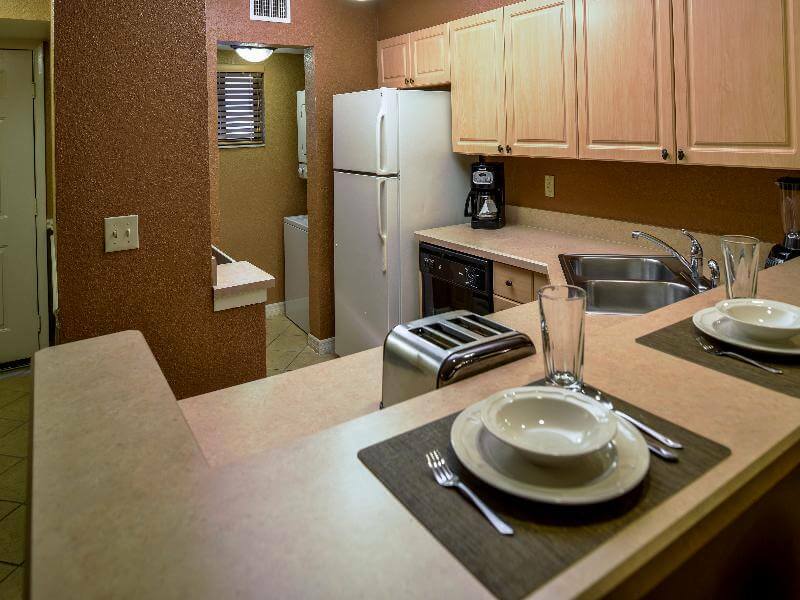 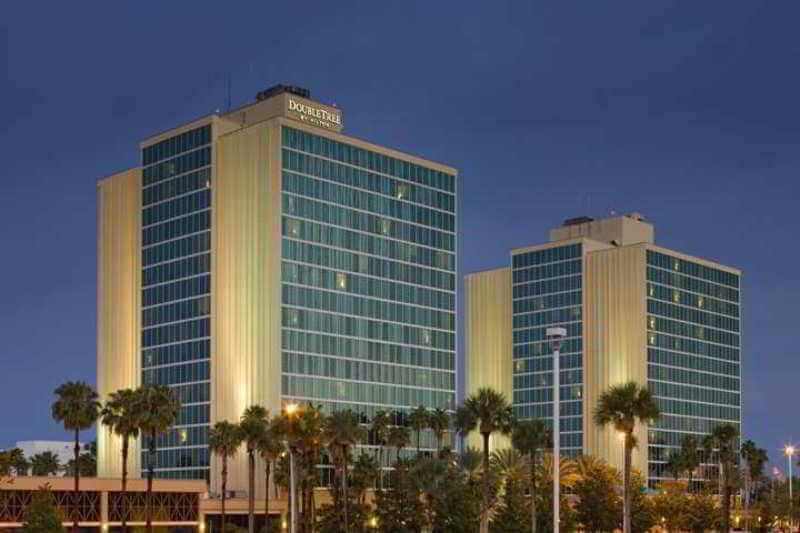 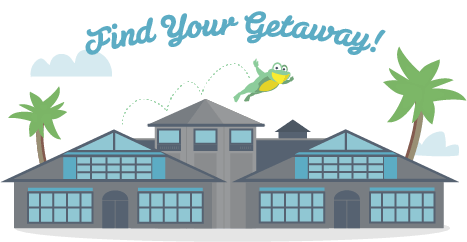 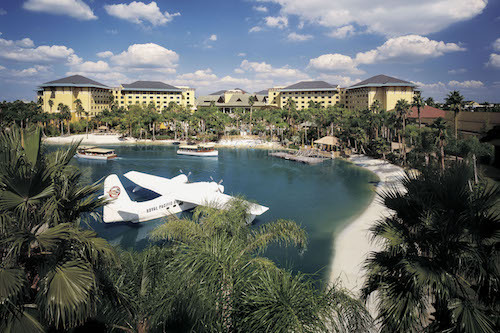 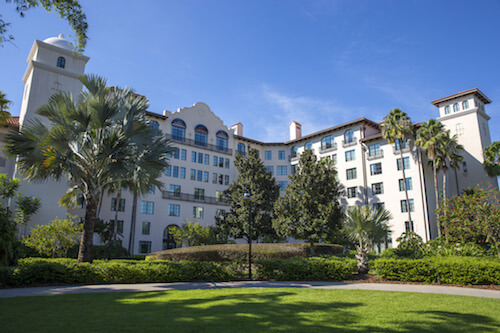 Orlando International Airport is a 30-minute drive away from the property. 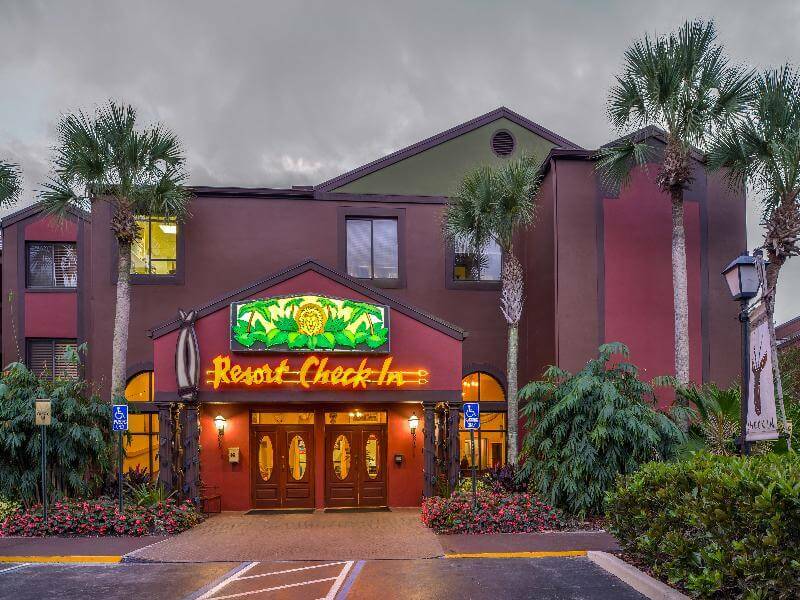 Kissimmee downtown area and Florida Mall, which are only 20 minutes away by car, are the best places for shopping. 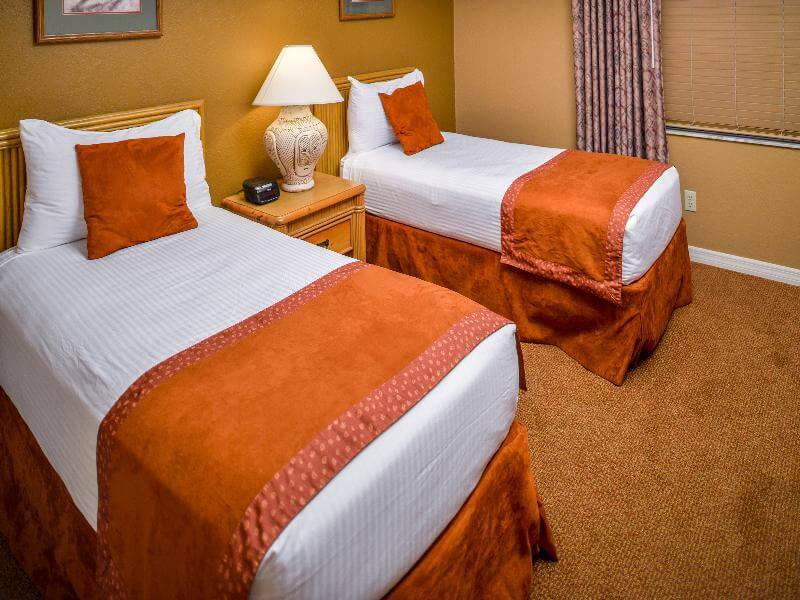 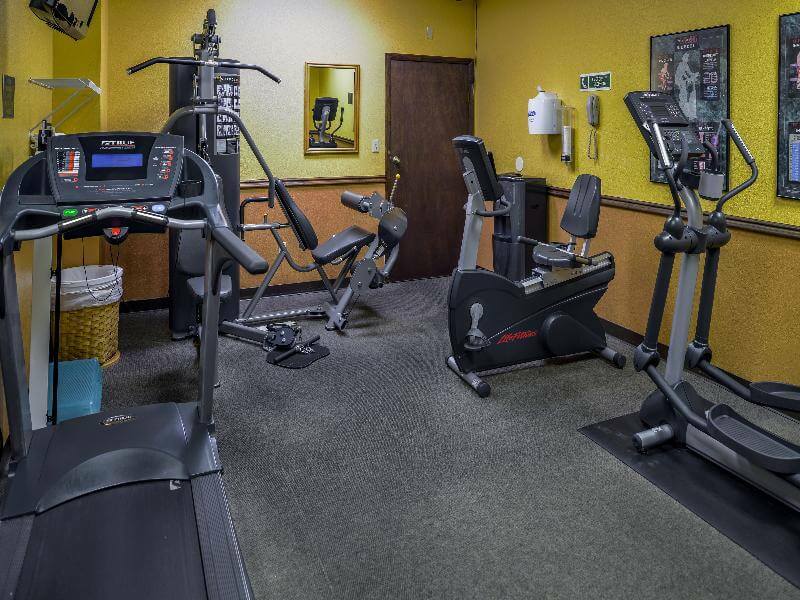 The hotel offers charming rooms equipped with excellent amenities and are designed to offer all the comfort guests may need. 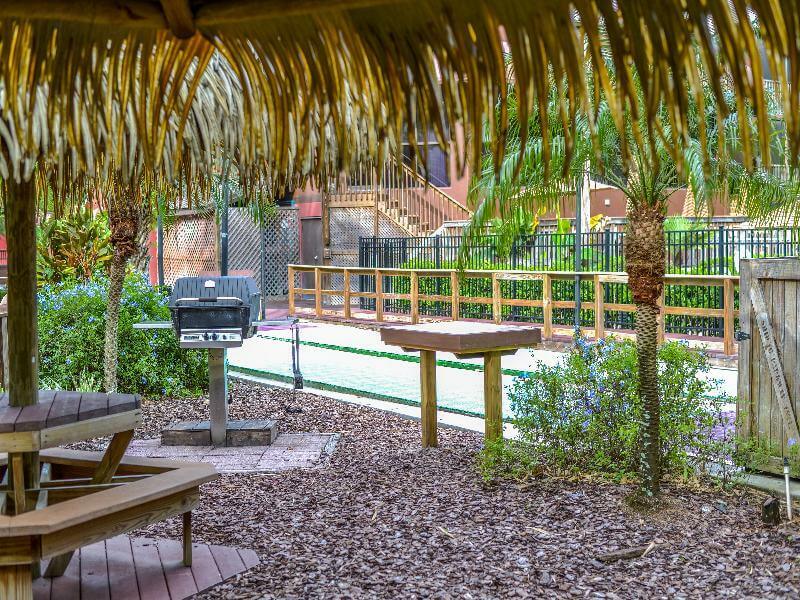 Visitors might taste fantastic hamburgers or special starters offered by the poolside bar as well as delicious cold drinks. 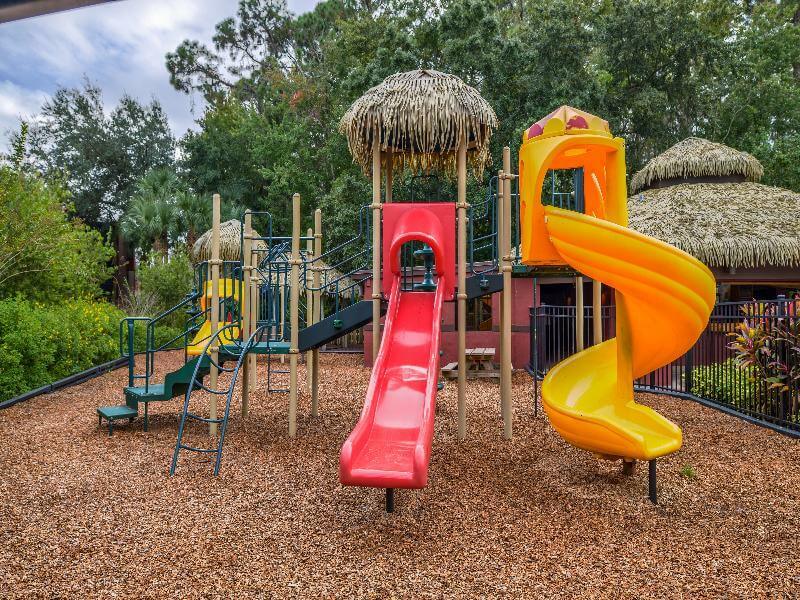 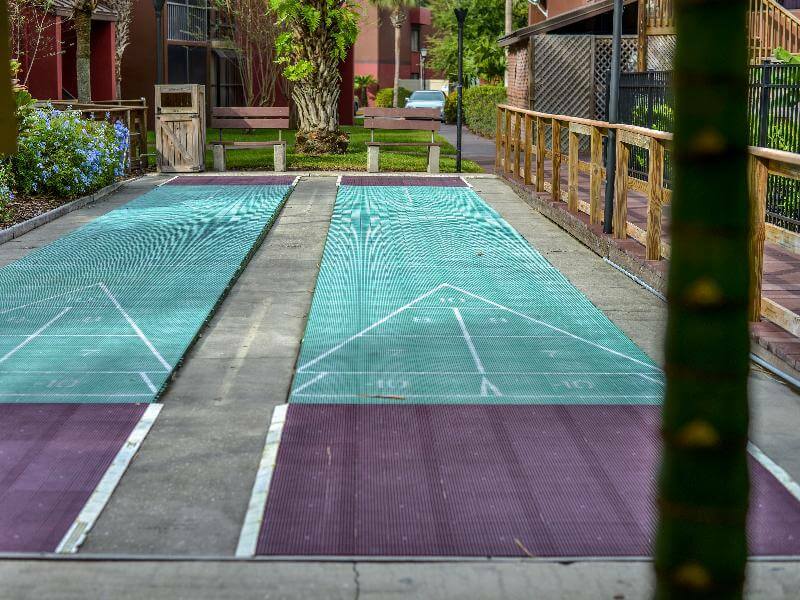 The hotel features a wide range of activities that will entertain adults and children, as well as a fitness centre for those who want to stay fit. 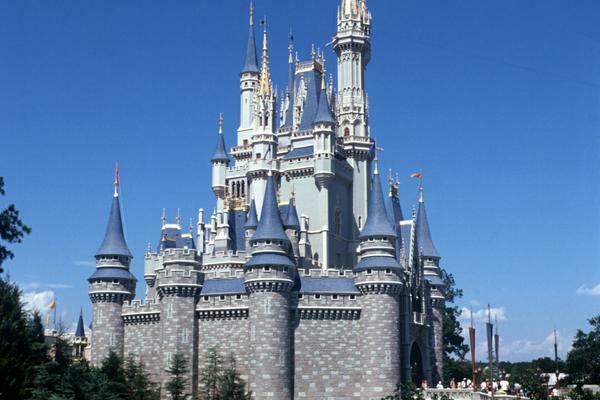 Pets are not permitted and strictly enforced with the exception of working Service Animals. 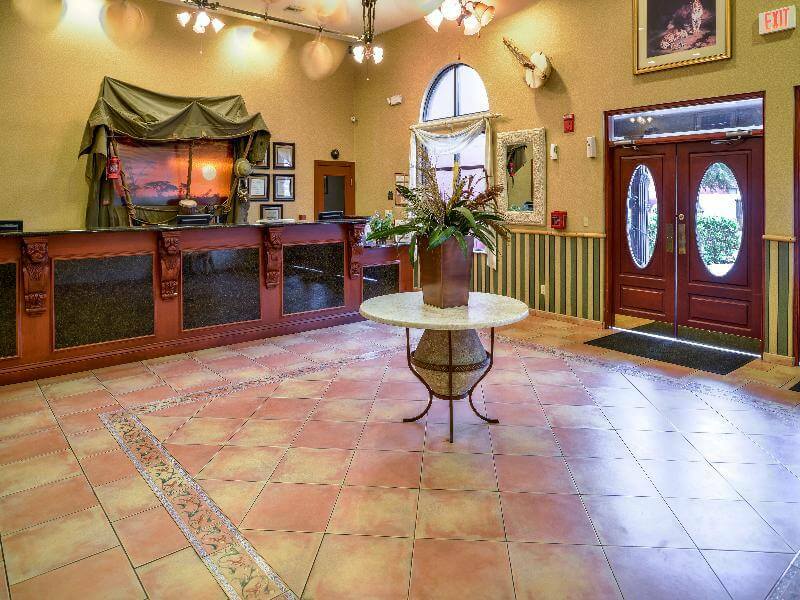 Certified Emotional Support and Therapy Animals are not allowed.